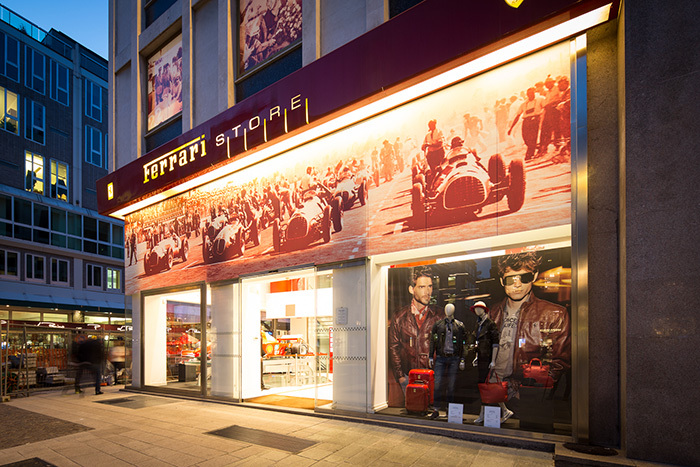 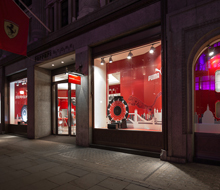 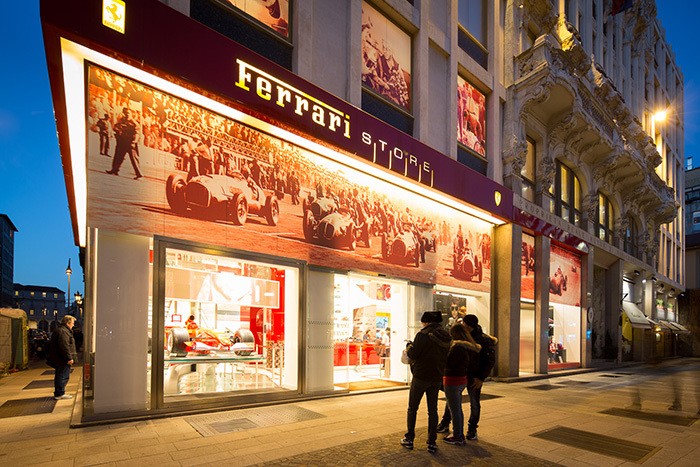 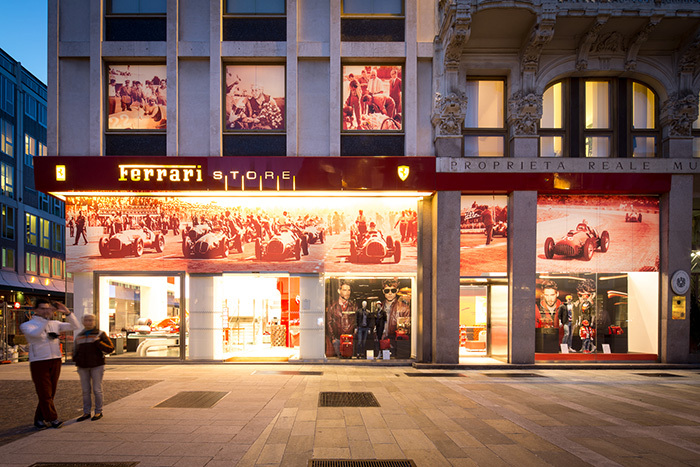 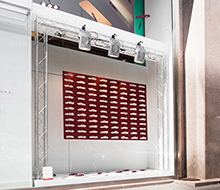 The window display created by ddpstudio for the Ferrari Store in Milan transforms the shop into a huge screen displaying the history of Ferrari, 9 photos of great moments during races and triumphs. 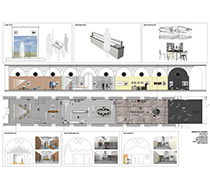 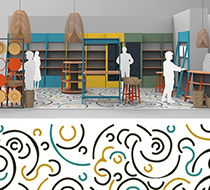 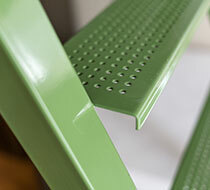 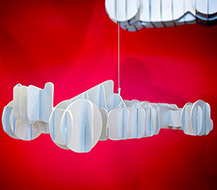 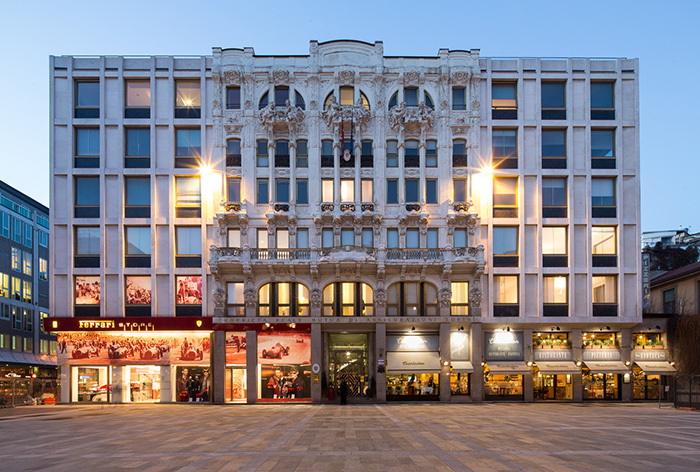 From Corso Vittorio Emanuele the store appears to be a huge slide sizing 12 x 6 meters that guarantees a strong visual impact. 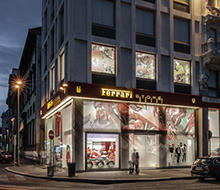 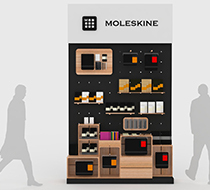 The effect changes significantly from day to night when the artificial lights are turned on increasing the transparency of the store window.